Update example. Update post fetching to include author, comments. Add fetching comments as a hierarchy. Add fetch categories, tags, pages. Add create post, comments. Update README.md. Add fetch users list, fetch comments list. Created model classes for Wordpress REST API and implemented user authentication function using JWT authentication system. Under Development. Nothing works now. 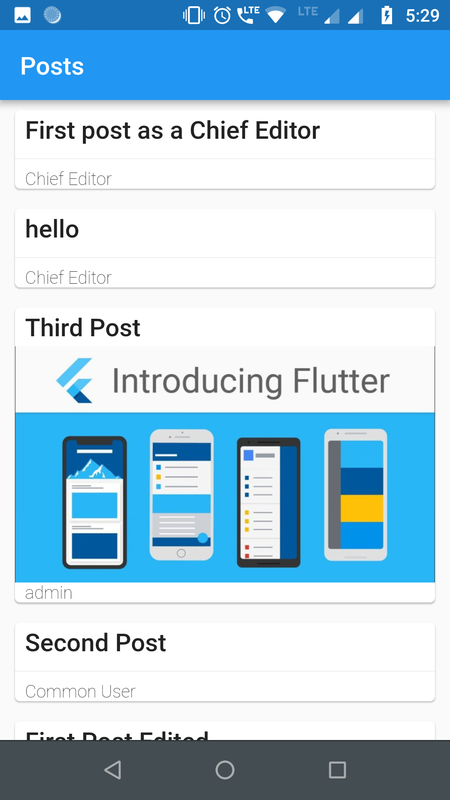 Basic login, displaying posts and comments have been implemented in this example flutter app. This library uses WordPress REST-API-V2 to provide a way for your application to interact with your WordPress website.